I’ve made three now. 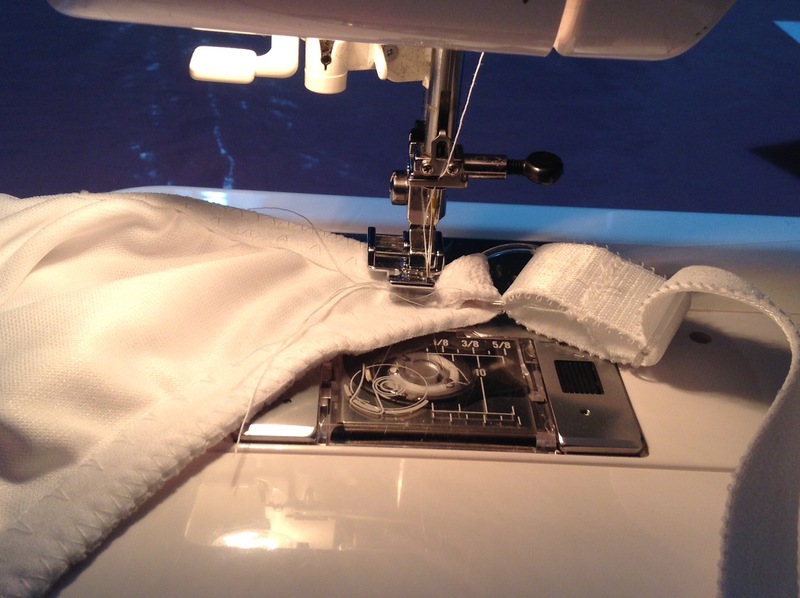 This post is a review of where I’m at with regard to making bras. The first was Orange Lingerie’s Marlborough bra, made from scrap Broderie Anglais and intended as a test run. The pattern is great, and taught me a lot about making a bra. The result looks really pretty, but it doesn’t fit very well, possibly because the cup fabric has no stretch whatsoever. The second was Kwik Sew 3594, made using a toile pack from Sewingchest.co.uk. It was made quite quickly, partially on the overlocker. It came together very easily, looks rather plain, and fits really comfortably. The third re-uses Kwik Sew 3594, with the intention of making something prettier. Compared to the others, it didn’t cost very much because I had built up some ‘stock’ fabric and elastic. I needed a little bit more white elastic, a white fastener and some lace for prettiness. The lace cost me £3 for half metre, meaning sufficient for several items of lingerie, including plenty of scope to get matching pattern layouts. I made it largely without reading the instructions, except to confirm the various lengths of elastic needed, and even changed the order of work by stitching the two halves of the frame together before stitching in the cups. I still had to re-stitch to get an even balance across the front. I also stitched all of the elastic with the walking foot, before changing the foot to a zip foot and stitching those awkward to reach areas. 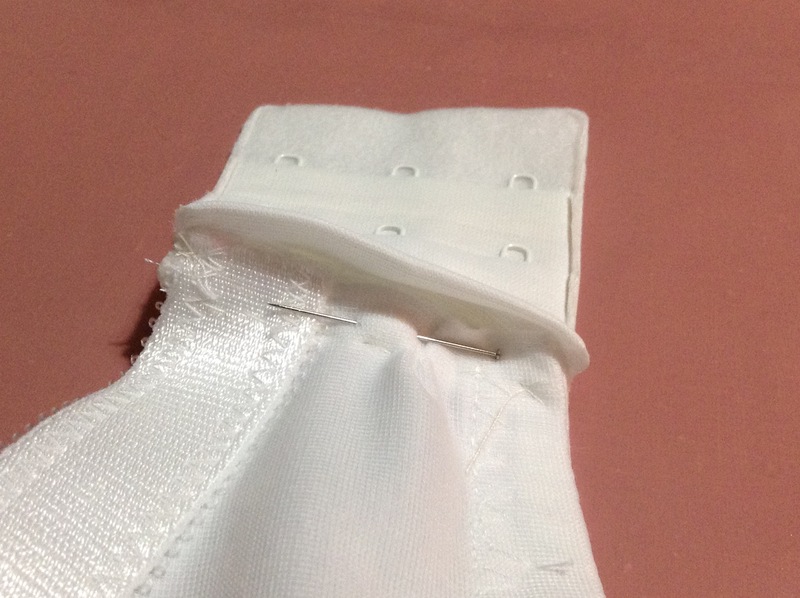 I was able to apply lessons learnt such a tacking the fastener in place before machine stitching. The Marlborough instructions said to do this, and they were so right, as the powernet will pop out of place if you don’t do this. Finally I added little white bows to the centre front of both white bras. I had them in stock already. So slightly prettier….. I could really do with a bricks and mortar shop with a good stock of bra making fabric, so that I can see the options and dream – then buy! Can I make matching knickers with the lace? What exactly is ‘sheer’, a fabric often used to line lace fabric cups? I can broadly see what it is by looking at shop bought bras, but I don’t want to buy the wrong thing. How would the Marlborough work if made from stretch fabric? Where can I find stretch lace that is wide enough? Would it make a difference if I under-wired? I don’t like under-wired bras, but I could learn to like them if it makes the pretty ones fit! I could do with a black bra, but that would involve buying a whole new set of powernet, elastic, fasteners and straps, and I know that the first bra ‘from stock’ can be quite expensive. It’s only the third one that has been relatively cheap to make. Any help and advice gratefully received, especially with regard to a bricks and mortar shop in the Midlands. This entry was posted on February 7, 2017 by ann hebden in Bra making, Fashion, Handmade, Kwik Sew, Lingerie, Marlborough Bra, Orange lingerie, Sewing and tagged Bra making, Handmade, Kwik Sew 3594, Lingerie, Marlborough Bra, Sewing.